In some ways writing is more liberating than consuming a sprawling lip smacking ensemble of world’s best culinary delights, when all have been laid out on one table. Or if you are a classicist then let me humbly submit, writing can even be as refined an experience as seeing one of Michelangelo’s or Da Vinci’s seminal works. The real essence of writing isn’t to paint a subject in mad adulation, or to chop one in literary pieces of hateful venom. Rather, writing echoes a friendly humming tune when the subject for which it has been produced is a divine one. And, while there are subjects and themes limitless to the core of our imagination that can be written upon, those whose mere name comes to crown a subject with reverence, indeed deserves applause. On July 9, 1956, back in Concord, California, a simple, humble, harmless and jovial kid made his way to a fractured and seemingly distraught family plagued with economic and emotional upheavals. 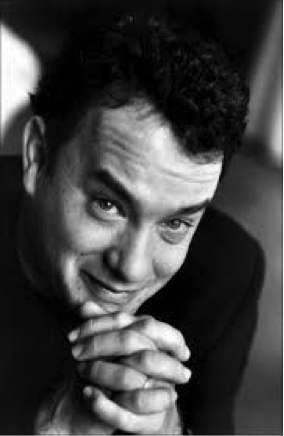 But from a journey that has lasted 6 decade walking on earth and doing what he does best (making movies), Tom Hanks has left an indelible mark on world cinema, not just Hollywood films. In fact, quite literally, Tom Hanks is revered even in the skies. 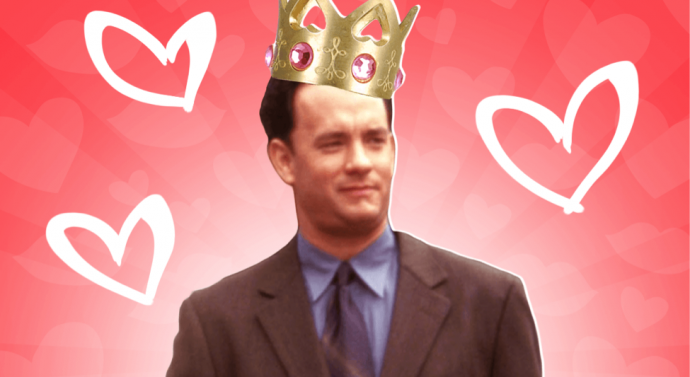 They have named an asteroid as Tom Hanks. There are people who aspire to act. Then there are people who leave shining milestones behind. In Thomas Jeffery Hanks’ case, a man who has to his credit 2 back to back Oscar awards during 1993, 1994, the name Tom Hanks is usually considered synonymous with the phrase milestone. Tom Hanks, a well bred Californian who measures 6 feet and has to his credit a melodious meets deep voice and those charming dimples, has been quite the cultural avalanche we come to associate American cinema with. He was never part of a happy or stable childhood. Father Amos Hanks was a cook who forever changed jobs and mother Janet was a hospital worker. Leaving Hanks often in the company of a brother and sister duo, neither of which ever became the quiet child Hanks’ best buddies, the family often changed homes, chanced upon new careers and in the process of making Tom move from a school to another, left him with a broken childhood. One could say that while loneliness and lack of family stability easily bundles one out into a zone that’s difficult to get out of, there are others who use their monk-like silence and a passion for observation to befriend life. Luckily, for all those intense, diverse, passionate and method roles that Hanks has commanded with aplomb, he had these in born qualities, that made us, fans look at his films as cinematic paradise. As if theatre was an early induction into the Hanks DNA, Tom didn’t just grew up studying theatre, be it at the Chabot College in Haywayrd, but went to attend the prestigious Great Lakes Theatre Festival (incepted in 1962) in Cleveland, Ohio. The multiple award winning and charming Hanks we adore today, once used to clean the floor, set the stage, sweep the green room and arrange lighting at the hugely popular theatre ensemble. From thereon started a love affair between the actor and his muse (theatre) whose immense passion, chemistry and phonetic devotion has reverberated in the finest theatres, ballrooms, packed reception events and ultimately, the Oscar shows. There is a word that isn’t simply a largely held belief prevalent today, but one that was in existence many years ago, and still does rounds wherever the subject of competition and success debated upon: Versatility. 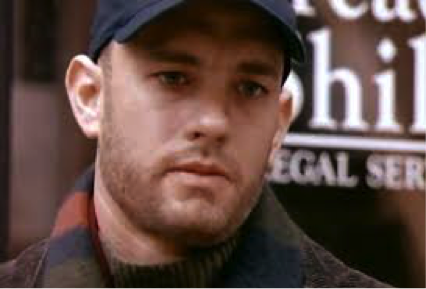 Today, ask a street walker in America or a Hotelier in Europe, an aspiring Broadway star or the likes of Steven Spielberg that what is the one central tool for Tom Hanks’s success, and they will echo in unison: his versatility. From starring in dead pan but emotive comedies of the 80s like Big where Tom(as Josh Baskin) played the affable kid stuck in an adult’s body, to the unwelcoming host and ultimate friend(Turner) of police watchdog Hooch (Turner and Hooch) to- expanding his creative envelope by starring in mega hit Forrest Gump where the narrator undergoes a historic journey across American political and cultural landscape, to- turning up as a gay lawyer inflicted with AIDS fighting for his rights in Philadelphia(as Andrew Becket) and finally, echoing the voice of a troubled Walt Disney (Saving Mr. Banks) and essaying the brave Maersk cargo ship captain’s life held at ransom by pirates as Captain Phillips, Tom Hanks’ on screen portrayals have moved, inspired and, transformed a colored world, segregated by caste, creed and religion into an oasis of oneness, where his gentleness, peace, calm and friendliness have brought fans and admirers together regardless of physical distances and boundaries. Having largely existed through American Television sitcoms through mid and late 80’s with popular shows like Bosom Buddies and Saturday Night Live, Tom’s career peaked in the real sense of the word in his post comic era, a period after the time when he had already accomplished comic greatness through a spike of entertaining commercial films such as The Money Pit, The Man with One Red Shoe, Joe Versus the Volcano. When Robert Zemeckis approached Hanks for Forrest Gump for the lead role of a man with slow learning abilities who goes on to transform the emotional, cultural and social canvass of life around him in an America largely on the edge of transformation and greatness of the 60s and 70s, a period epitomized by racism, Vietnam War, the rise of Psychedelic rock music and a whole new wave of patriotism where friendship, brotherhood met with colors of Americanism, Hanks was set for greatness and the world was to be his endearing audience. Regarded as a cult classic Forrest Gump of 1994 won Tom his second iconic best Oscar award for his flawless portrayal. Earlier, in 1993, Tom had already made the climb up the stage to receive his first ever Oscar. His portrayal of Andrew Becket’s fight back, a HIV inflicted gay lawyer who aced at his career but got fired for sustaining the medical condition won Tom not just the lady in gold, but appreciation from every nook and corner in America. Central to Tom Hanks’ amazing Hollywood journey that has seen him pick as many critics and popular awards as there are hamburgers in his neighborhood food plaza, has been his stupendous screen pairings and personal choices for choosing the right script. He’s been paired with the lovely Meg Ryan on 4 occasions, in the funny Joe Versus the Volcano, the activism pumped Volunteers, the blissful romantic caper Sleepless in Seattle and the ever charming You’ve got Mail. Hank’s subtle enigmatic chemistry uncurled soft magic with a glowing sense of euphoria in Nora Ephron’ 1998 You’ve got Mail. 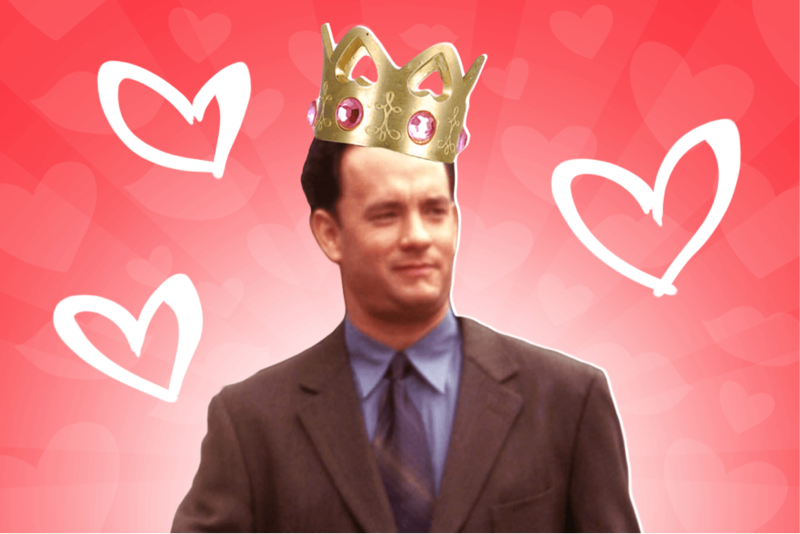 But, Hanks is a man who moves smartly, smoothly and jovially all for his audience’s central fulfillment – to receive the gratification they wish to earn through Hanks’ good mannered and kind hearted lovely portrayals. Never the one to discount the importance of visiting the gray side, Hanks chose to be cast as a dreaded gangster in Road to Perdition, a film that not conventional lovers of Hanks’ big screen charms would come to associate the legendary Californian with. He’s been the crook in the Lady Killers, where his appalling looks moved critics to dub him as an eccentric guy who one can’t believe is Tom Hanks. He’s played CIA’s asset in the legendary depiction of Charlie Wilson, the popular Texas Congressman in hugely successful 2004 Charlie Wilson’s War and in the process, swayed Julia Roberts twice, on screen, in Charile Wilson and the heart-wrenching comedy Larry Crowne. Inspiring the current legion of fellow actors such as, believe it or not, Al Pacino, who is believed to have sent a hand written a letter to Hanks thanking him for inspiring him to take up challenging roles in latter part of his career, Tom is loved by Meg Ryan, adored by Julia Roberts and Jude Law, followed keenly by John Cusack and widely respected by the younger lot like Matt Damon, Heather Graham. There have been criticisms for certain films that Hanks went on to make despite their obvious lack of script mojo like the Geena Davis and Madonna starrer A League Of Their Own and the epic failure with Bruce Willis The Bonfire of the Vanities, but just how many times does an actor share stage with a Denzel Washington as he did in Philadelphia and manages to evoke undying respect, tears of appreciation, warmth and ultimately, redemption of a hope gone to the dumps? For being unfazed by failures, for his childlike passion for amazing storytelling, for putting his name to the most demanding and difficult characterizations on big screen, for that ever smiling persona and the endless quest for bettering an acting craft that makes the movie goers richer in experience every time its protagonist undertakes a new acting or directing challenge, Tom Hanks is America’s favorite son and a hero, we all would love to learn something from. 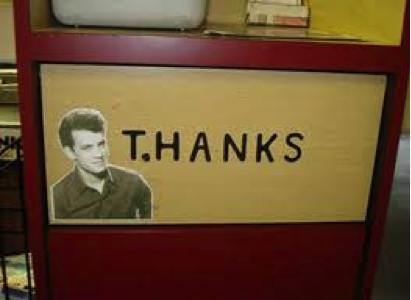 Have a long, happy and prosperous life Tom Hanks.